Achilles tendon injuries are significant and painful for many. Tendons are the groups of tissues that attach muscles to bones. The Achilles tendon connects the calf muscles to the heel bone and also provides steadiness to the foot and ankle. This in turn prevents the onset of other injuries. However, when repeated stress and pressure is applied to the Achilles tendon, the result is tendonitis. This is the swelling of the tendon (or even small tears) that can modify and change the actual shape of the foot, leading to even greater pain. Tendonitis generates a lingering discomfort that is distinctive from that of other pain that your feet. Painful symptoms such as discomfort in your calf muscles, swelling in your heel or trouble bearing weight on your toes are common complaints. High-intensity activities can bring about injuries to your Achilles tendon since landing on your feet improperly can produce this injury. Wear proper footwear and try not to wear high heels as they can have negative effects on your tendons. Take anti-inflammatories like ibuprofen to reduce swelling and pain along your Achilles tendon. Participate in physical therapy to make your tendons tougher and less disposed to this injury. Ice therapy can also alleviate inflammation. Foot support devices can be immensely helpful for providing support to your tendons. They can also help your Achilles tendon heal after it sustains an injury. Moreover, orthotics offer great assistance for managing the pressure placed on your foot and can have positive effects on your Achilles tendon. Surgical procedures may be required to fix deformities and injuries caused by tendonitis. 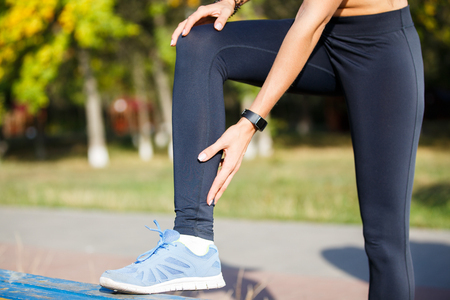 Here at the Palm Beach Orthopaedic Institute, our podiatrist, John Schilero, DPM, can help you recover from Achilles tendon injuries with comprehensive treatment plans. We have four offices conveniently located in West Palm Beach, Jupiter, Wellington and Palm Beach Gardens, Florida. Please call our office at 561-694-7776 EXT. 41 or use our convenient online appointment request form to schedule a visit. Don’t forget to take a look at our Patient Education section for more information about what other complications your feet and ankles may be susceptible to. We always strive to provide our patients with the best podiatry services possible!